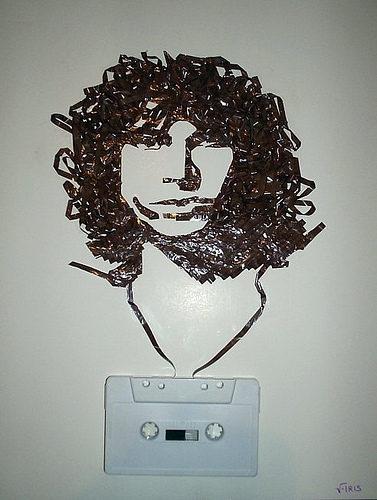 In the most creative recycling I’ve seen in a long time, some talented artist on Flickr makes these amazing portraits of rock stars using only cassette tape. 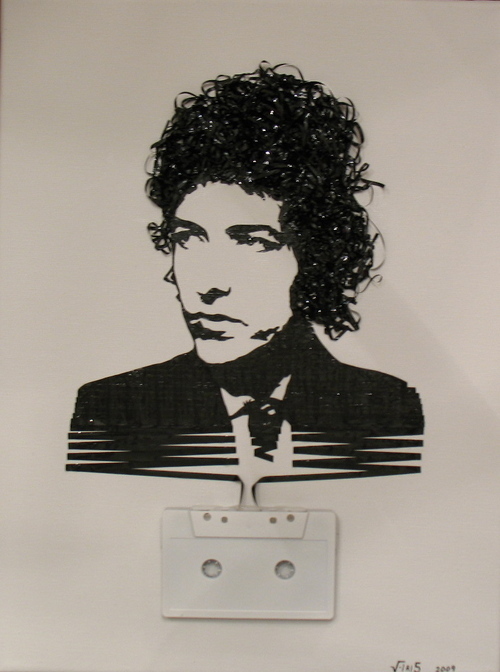 (Kids, if you don’t know what cassette tape is, it’s the thin, seamless black ribbon found inside of musical cassettes old folks like me used to buy). 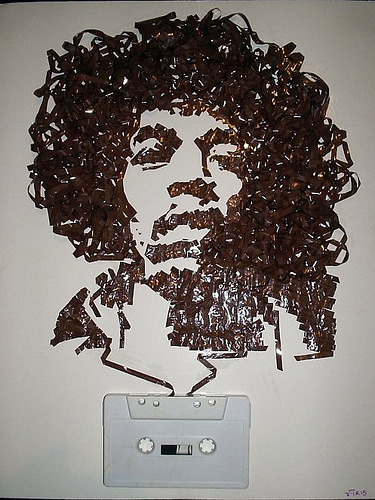 Go to the Flickr site and see the rest. Bravo! Have you seen the Flickr ‘Far Side’ reenactments? A bunch of silly creative types are posting pictures on Flickr of humans reenacting classic comics from Gary Larson‘s Far Side strip. and here are the rest.